Located close to the Toa Payoh MRT station and within a 15-minute drive to Orchard Road, two private condominiums, Oleander Towers and Trellis Towers, both of which are located along Lorong 1 Toa Payoh, have seen a pick-up in buyer interest. 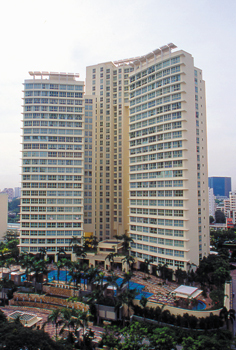 Oleander Towers is a 318-unit, 99-year leasehold condo developed by Wing Tai Holdings and completed in 1998. The project contains a mix of two- to four-bedroom units and penthouses. A 1,464sqft, four-bedroom unit on the 21st floor of the development changed hands at $1.55 million ($1,059psf) in late September. The original owner had purchased the unit in 1998 at $1.19 million ($815psf). When Oleander Towers was launched in the peak of the property boom of 1995/96, prices had averaged $800psf, says Kelly Ye, executive advisor, Knight Frank Property Network. Although the price was considered high at the time, the units were quickly snapped up as it was the first private condo launched in Toa Payoh, an established HDB state located in the city fringe, recalls Ye. In the last two years, she has brokered the sale of 10 units in Oleander Towers on the resale market, and she sees a good mix of investors and end users. Given the strong reception to OleanderTowers, property giant City Developments Ltd (CDL) launched Trellis Towers towards end-1996. The 384-unit freehold Trellis Towers is located just across the street from Oleander Towers. Given its freehold tenure, the condo was launched at an average price of $900psf, although there were some high-floor units that crossed the $1,000psf level. 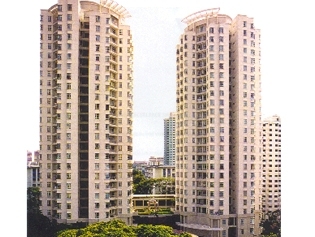 The launch of Trellis Towers took place just a few months after the government introduced anti-speculative measures on May 15, 1996. These included stamp duty, capital gain tax for those who sold within the first three years of purchase and a cap on the borrowing limit of up to 80% loan-to-value ratio. Completed in 2000, Trellis Towerscontains a mix of studios, two- to four bedroom units and penthouses. Most recently, an 840sqft, two-bedroom unit on the 27th floor of Trellis Towerschanged hands for $1.22 million ($1,453psf). The unit was transacted twice prior to this. The first time was in December 1996, when the original owner bought the unit from the developer for $882,570 ($1,051psf). It was sold in March 2006 for $638,000 ($760psf). While Trellis Towers appeals to both investors and owner occupiers, interest is tilted towards investors because of its freehold tenure, says Ethan Ang, senior associate manager, C&H Properties, who specialises in marketing units in District 12. 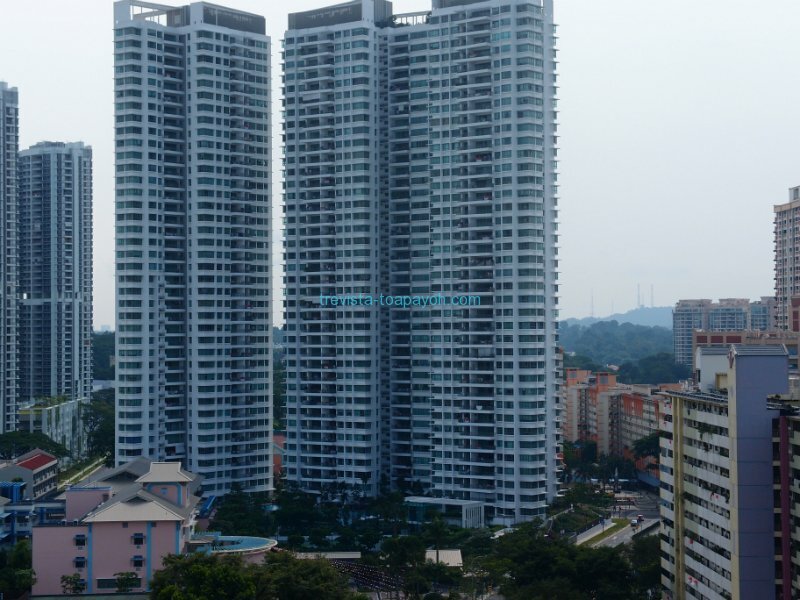 Oleander Towers, on the other hand, appeals mainly to young families with school going children, given its proximity to CHIJ Toa Payoh Primary and Secondary School. Pei Chun Public School, located in Lorong 7, is also nearby. The latest private condo in Toa Payoh is the 99-year leasehold Trevista, launched in August 2009 - a good 13 years after the first two were launched. The condo is made up of three 39-storey towers and has a total of 590 units. The development is located at the junction of Lorong 2 and Lorong 3 Toa Payoh, and is a little further from the Toa Payoh Hub and Toa Payoh MRT station compared with OleanderTowers and Trellis Towers. However, there was strong interest when Trevista was launched due to pent-up demand. At the preview, 410 of a total of 460 units were snapped up at prices averaging $898psf, which were then adjusted to $920psf as higher floor units were released. "We were afraid that response at Trevista would be poor as the preview coincided with the Hungry Ghost Festival," recounts Ye, who was one of the marketing agents of Trevista when it was launched. 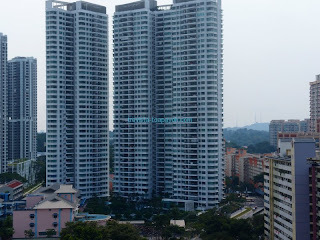 Singaporeans made up the majority of the buyers at Trevista. The project was developed by NTUC Choice Homes and completed last year. Resale transactions last month saw units changing hands at prices ranging from $1,227psf for a 1,141sqft second level unit to $1,631psf for a 463sqft studio unit on the sixth floor. Given that it's the newest private condo in Toa Payoh, Trevista is said to have the most up-to-date facilities among the three, says C&H's Ang. The development contains three swimming pools, sauna, steam room, putting green and rock-climbing wall. With only three private condos in the area, demand for units has so far outstripped supply, observes Knight Frank's Ye. She adds that most investors prefer smaller units as it is easier to rent out. Most of the enquiries from investors are for the two-bedroom apartments. 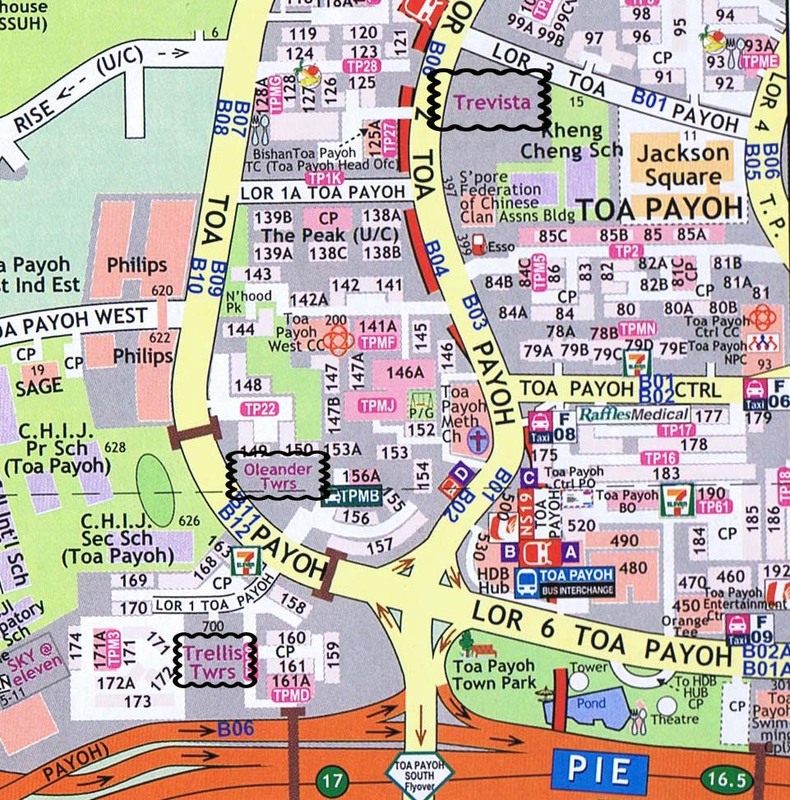 Toa Payoh these days sees a good mix of local and foreign investors. Most of the foreign investors come from Chinaand Indonesia. Anecdotal evidence is that an Indonesian national turned Singapore Permanent Resident is one of the most active investors in Trellis Towers, having accumulated units as and when they come on the market. She is said to invest exclusively in Trellis Towers when it comes to Toa Payoh given the good layout of the units, notes Ang. Rental yields of private condos in Toa Payoh today are hovering around 4%, he estimates. The area has been on investors' radar of late as the mature estate is located right at the city fringe, and is within a short distance of Orchard Road and the CBD. "Renting a studio apartment in the Orchard area is around $5,000 a month," says Ang. "For the same rent, you can get a three-bedroom unit in Toa Payoh." The wife and I had actually seen several 4-bedder units at Trevista after the development received its TOP. While we quite liked the apartment layout and finishing, we found the bedrooms too small for our liking. In addition, we found the bay windows within the master bathroom a tad too exposed especially for those facing opposite units (unless you enjoy being the exhibitionist). So window-blind makers should have a field day at Trevista. 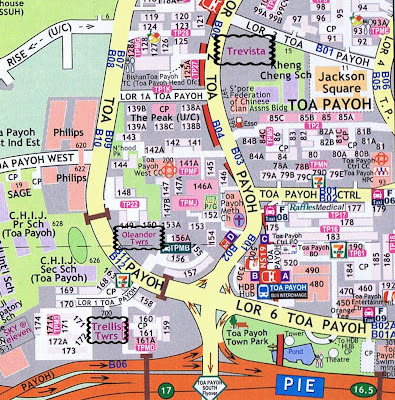 No Comment to " Property spotlight: Toa Payoh "